A court in Turkey jailed an Istanbul academic pending trial following several raids on professors and activists deemed to have links to imprisoned prominent financier of civil society activities, Osman Kavala. Turkish prosecutors had issued arrest warrants for 20 people, with 14 suspects rounded up in the raids. Twelve of the suspects were released after giving testimony to police, while one was still being questioned, according to state media. Kavala is the chairman of the Anadolu Kultur (Anatolian Culture) foundation, which aims to overcome differences within Turkish society through culture and arts and has sought to reach out to neighboring Armenia. All suspects, including those released, remain accused of “creating chaos and mayhem” and “seeking to overthrow the government” in 2013 anti-government protests triggered by the planned development of Istanbul’s central Gezi Park. Kavala worked closely with foreign missions on civil society projects and his jailing has alarmed Turkey’s Western allies. All member countries of the Gulf Cooperation Council (GCC), which includes Qatar, are expected to attend its next summit in the Saudi capital, Riyadh, according to Kuwait’s Deputy Foreign Minister Khaled Al-Jarallah. Jarallah said the summit, scheduled to be held in December, offers a ray of hope in reviving efforts to resolve the more than one-year-old Gulf dispute. In June 2017, Saudi Arabia, the United Arab Emirates (UAE), Bahrain, along with non-GCC member Egypt, cut off all diplomatic relations with Qatar. The four nations accused Qatar of supporting “terrorism” and “extremism” – allegations that Doha has repeatedly denied, calling the boycott a challenge to its sovereignty. The U.S. push to counter the Iranian threat has remained a top priority for the blockading nations led by Saudi Arabia, but Qatar has maintained its diplomatic relations with Iran, despite pressure from the blockade. This positive turn towards holding the GCC summit in Saudi Arabia versus Kuwait indicates potential negotiations, and hopefully an eventual end to the blockade itself. 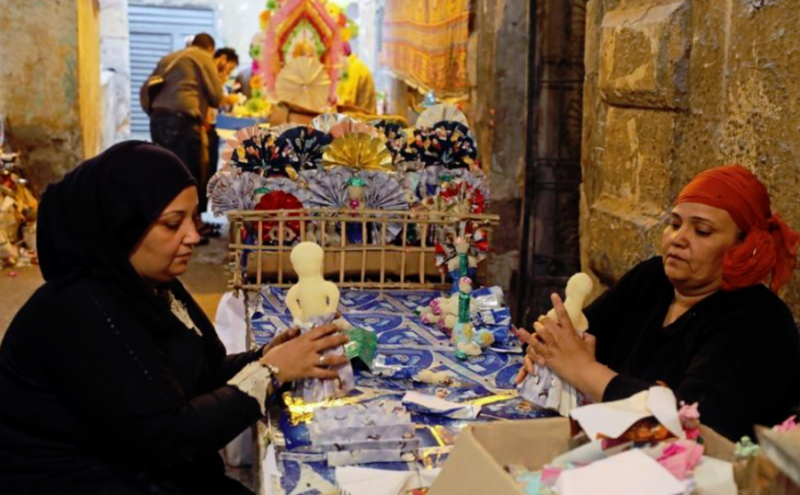 Nostalgic Egyptians are reminiscing over the ceremonial sugar dolls that were once the highlight of festivities to celebrate the Prophet Mohammad’s birthday, as traditional practices slowly die out. As plastic dolls from China become cheaper, and with shortages of sugar, the Arousa al-Nabi (Bride of the Prophet) dolls are being replaced and the tradition is dwindling. The Mawlid al-Nabi holiday, which starts on Tuesday (11/20), is an important occasion for many Egyptians, marked by making traditional sweets that are sold in shops and street markets. The sugar dolls sold in shops around Egypt are just one of many sweets made during the holiday, but are nonetheless an important part of the tradition across the country. After years of controversy, Airbnb announced on Monday that it is removing all home-share listings, about 200, in Israeli settlements in the occupied West Bank. Tech companies are increasingly finding themselves in the middle of political storms, as the services they provide run into the crosscurrents of regional conflicts and ethical controversies. In the past, Airbnb explained that it believed doing business in the settlements was legal, and felt its service could “bring people together” there. Now the company has developed a five-part checklist for evaluating how it handles listings in occupied territories, and based on that, it “concluded that we should remove listings in Israeli settlements in the occupied West Bank that are at the core of the dispute between Israelis and Palestinians.” A number of other travel companies offer activities and accommodations in the settlements, according to Al-Jazeera. Reuters reported that lawyers had launched a class action lawsuit in Israel on Thursday against Airbnb, accusing the company of “outrageous discrimination” and demanding monetary damages after the earlier announcement had been made. Some members of Saudi Arabia’s ruling family are trying to prevent Crown Prince Mohammed bin Salman (MBS) from becoming king after the international uproar over the killing of Saudi journalist Jamal Khashoggi. Senior U.S. officials, meanwhile, have indicated to Saudi advisers in recent weeks they would support Prince Ahmed bin Abdulaziz — who was deputy interior minister for nearly 40 years — as a potential successor to King Salman, according to Saudi sources with direct knowledge of the consultations. Amid international outrage over Khashoggi’s murder, dozens of princes and cousins from powerful branches of the Al Saud family want to see a change in the line of succession, but will not act while King Salman, the crown prince’s 82-year-old father, is still alive. Rather, they are discussing the possibility with other family members that after the king’s death, Prince Ahmed, 76, uncle of the crown prince, could take the throne. In the meantime, Saudi Arabia’s foreign minister said on Tuesday that claims, including by the CIA, that MBS gave the order to kill journalist Jamal Khashoggi were false, according to an Arabic-language newspaper interview. Egyptian officials say that the rising use of Strox, a potent narcotic that is mixed with tobacco and smoked, is a threat to its youth population. Drug addiction has long been a problem in Egypt, the most populous country in the Arab world with nearly 100 million. But the speed at which Strox use is spreading has posed a new challenge. Experts say the drug is made in local workshops by adding chemicals often used by veterinarians to a herb like marjoram. Some add pesticides for greater impact, which effectively make the drug more deadly. Users describe painful convulsions leading to hallucinations and loss of consciousness. Authorities say the drug has killed dozens of people and has caused a spike in crime. The drug is cheap, and thus more accessible among Egypt’s large unemployed youth demographic — many victims are aged 15 to 20, according to Amr Othman, director of the state-run drug rehabilitation fund. While the price for one hashish joint was 50 Egyptian pounds ($2.80), two Strox joints cost 30 pounds. It is spreading in impoverished areas, where living standards have plunged since a 2016 IMF-backed reforms package forced currency devaluation and cut state subsidies. Top photo: Women decorate traditional sugar candy in the shape of dolls at a street market ahead of Mawlid an-Nabi, the birthday of the prophet Muhammad, in Cairo. Credit: Reuters/Mohamed Abd El Ghany.